But, we need YOUR help! 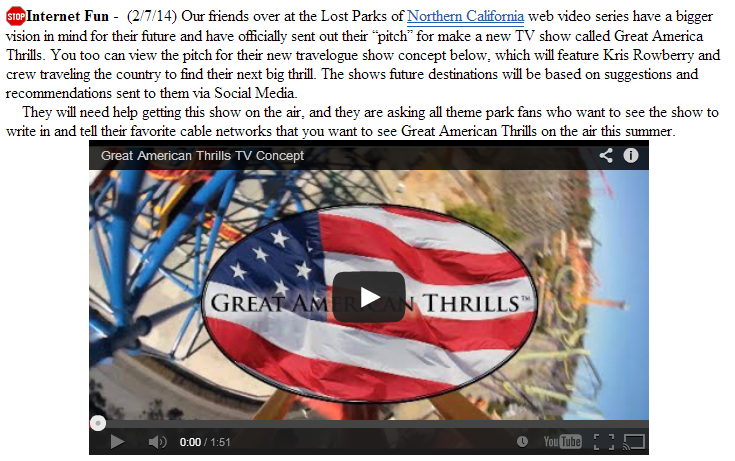 We need you to share this video with all of your friends, family and websites that you visit, especially television social media pages, such as Discovery, Travel and Destination America. The more eyeballs that see it, the better the odds of it being discovered – so SHARE AWAY! 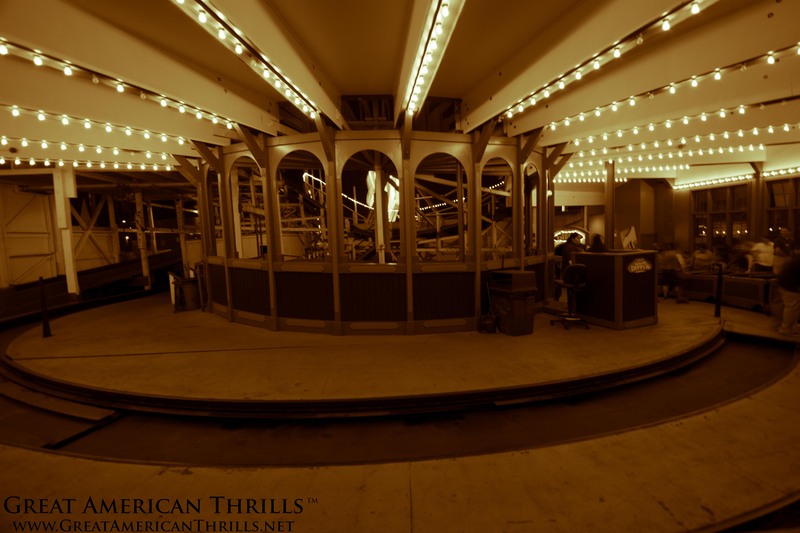 The show follows host, Kris Rowberry, as he and his crew – headed by Laschkewitsch – travel the country to find their next thrill, based on suggestions and recommendations sent to them via social media, using the #GreatAmericanThrills hashtag. Contributors to the show have the opportunity to join in on the fun: if their post is chosen, they get an automatic invite onto the show – which offers the chance to be on TV. 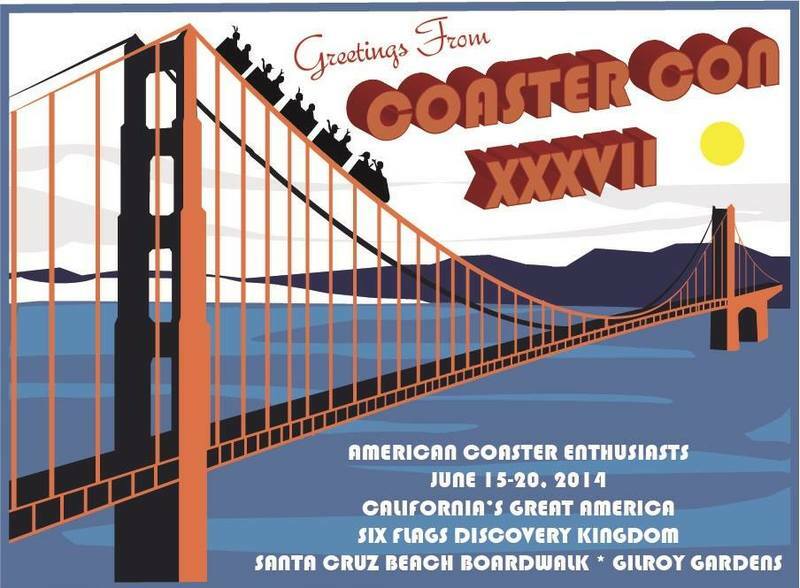 Both Rowberry and Laschkewitsch are proud members of the American Coaster Enthusiasts, an organization dedicated to the preservation and enjoyment of roller coasters worldwide. 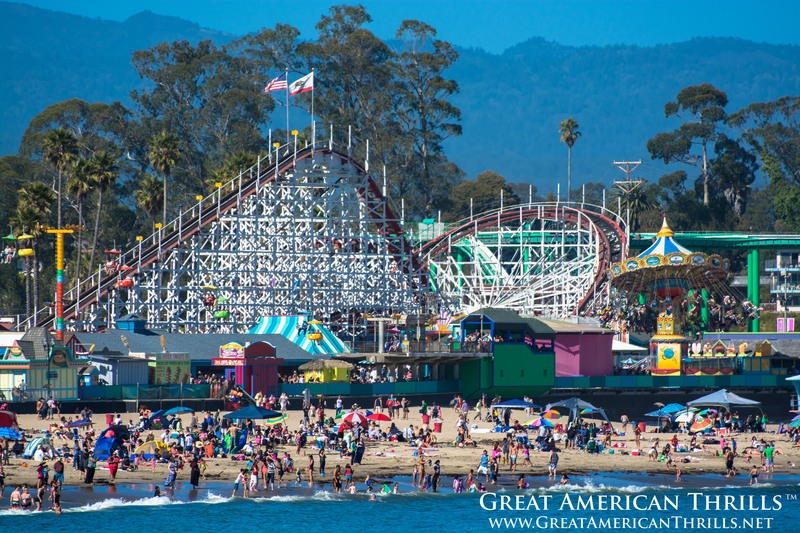 If you’re in need of a serious park fix in Northern California today, come on out and cheer us on at the Santa Cruz Beach Boardwalk this afternoon. 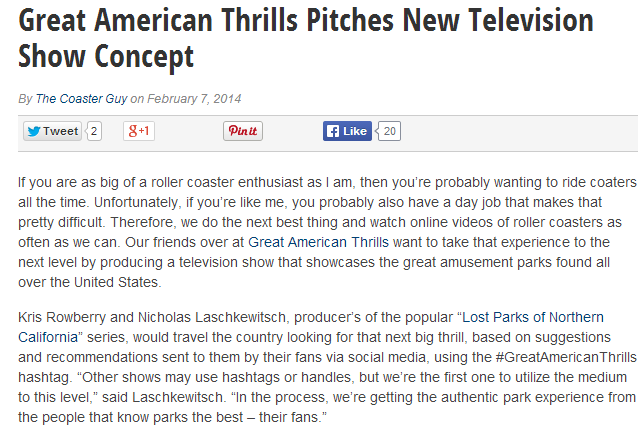 We’ll be filming a “pitch” video for networks and production companies, hopefully to get the “GAT” concept on the air! 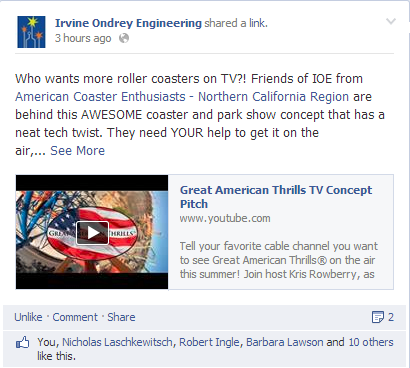 We’ll be using the posts in our post-production work – so POST AWAY!